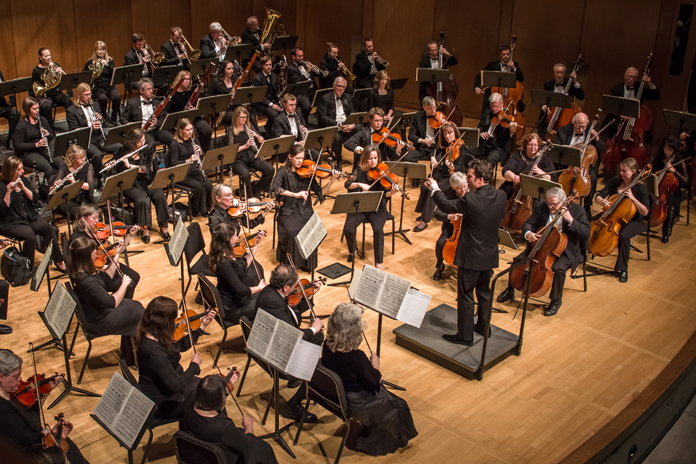 Founded in 1953, the Arapahoe Philharmonic is among the longest-established, continuously operating musical resources in Colorado. After thriving under two long-tenured conductors, T. Gordon Parks and Vincent C. LaGuardia, Jr., we celebrated our 60th anniversary season (2013-2014) with an exciting new conductor, Devin Patrick Hughes. 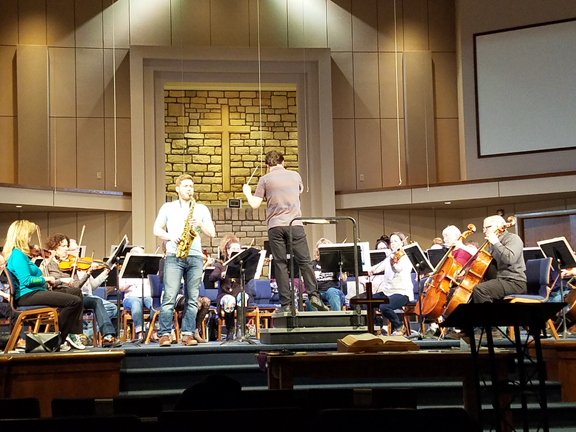 The orchestra’s musicians are volunteers, playing for the love of music, with a core of compensated section principals who provide technical leadership and help ensure the excellence of performance. Our performance repertoire includes the greatest names in classical music, ranging through centuries of master composers, but also featuring those of more recent times. When resources allow, the Philharmonic even commissions current composers to write new music for the orchestra. Our fine performance venues allow music lovers in Denver metro communities to experience high quality performances at reasonable cost with a convenient commute from home and free parking. In addition to our regular season performances, the Philharmonic is invested in future generations, presenting annual children’s concerts and sponsoring the Arapahoe Philharmonic outreach to elementary and middle schools – including sectionals, concert coaching and side-by-side workshops. Whether or not these young people choose a career in music, growing and working together toward the collective goal of a concert performance is important to their intellectual and emotional development. The outreach programs offer an experience that some would have no other means of exploring. The Arapahoe Philharmonic also sponsors three collegiate-level competitions: the T. Gordon Parks Memorial Collegiate Concerto Competition for college age musicians, the winner receiving a cash award and a featured solo performance with the Arapahoe Philharmonic in a regular subscription concert; the Vincent C. LaGuardia, Jr. Conducting Competition, the winner receiving the opportunity to conduct our orchestra during a regular season concert; and the Vincent C. LaGuardia, Jr. Composition Competition, the winner being named Composer-in-Residence with the Arapahoe Philharmonic for two seasons.